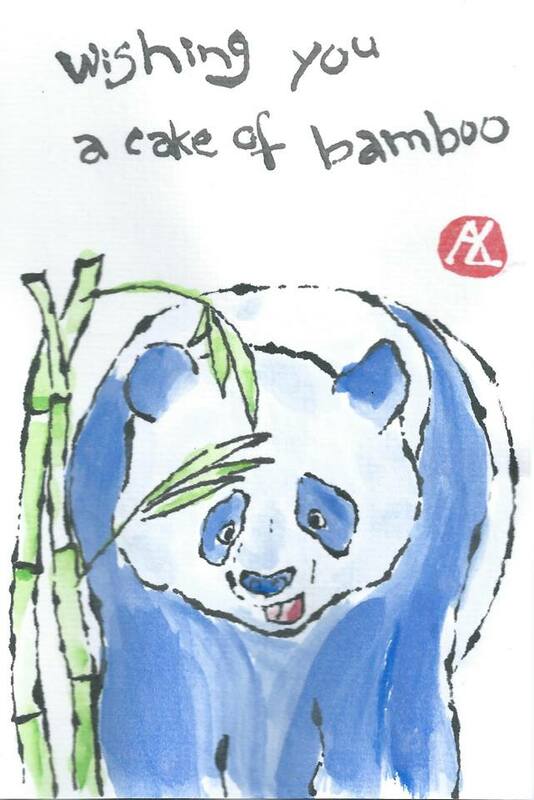 A happy birthday card for a colleague is a no-sugar- and no-wheat-eating vegan… I’m sure pandas understand her birthday cake conundrums. I based my panda on this wonderful photo by AngalaN on Flickr — it’s Bao Bao, at the National Zoo in Washington, DC. Here‘s one of AngelaN’s photos of Bao Bao on her first birthday — she got an icicle “cake” with carrots.